The weather is finally turning in Portland (at least it seemed to be yesterday). 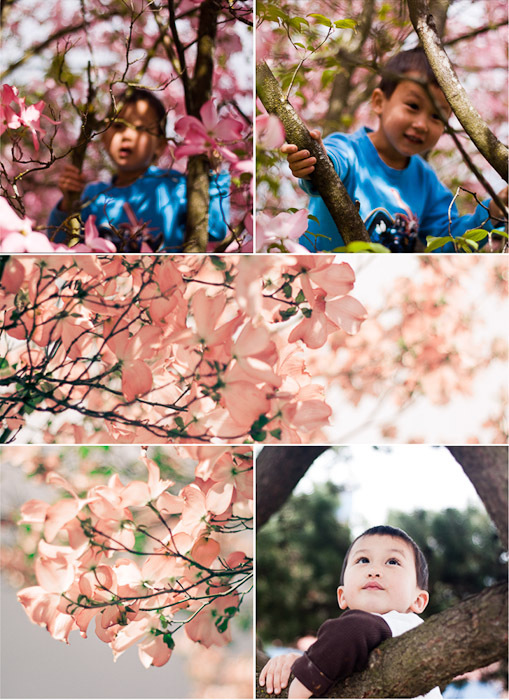 For the Ishidas it meant a weekend full of veggie garden prepping and playing outside. It also meant a visit to the plant nursery and the opportunity to dream about the big tree that will one day grace our yard. I’m hoping for a eucalyptus, but I think we’ll be more likely to find (and afford) something a little more local. Whichever tree we end up with, I just hope it grows quickly so that Thomas can enjoy one of his new favorite pass times right in the backyard. What an adorable mosaic. Hope you end up with the tree of your dreams or the tree of his dreams and you can watch them both grow up.